In this species the head is bare and skin black, there is a small knob on forehead, buff-coloured line above the eye, body in shades of grey. Legs and feet brownish, eyes yellow-brown, bill dark brown. 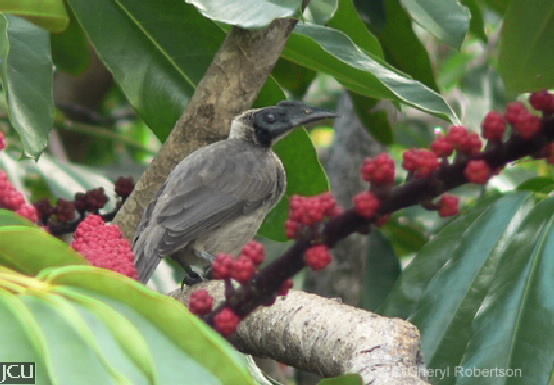 Bird is pictured here eating umbrella tree fruits.